← Who has heard of Canadian gunboat diplomacy? Stephen Harper is not The Problem but getting rid of him is a necessary first step in changing Canada’s militaristic, pro-corporate international posture that focuses on what’s best for business rather than helping the world’s poorest. Engler’s new book, following on The Ugly Canadian — Stephen Harper’s Foreign Policy, reveals how over the past decade the Conservatives have aggressively worked to increase corporate mining profits in Africa at the expense of local communities and how in 2011 they waged an illegal war on Libya, destabilizing that country and surrounding states. The book details diplomatic bullying and the spending of tens of millions of tax dollars to promote privatizations, trade agreements and other “aid” to “private” corporations. Most troubling of all, the book describes the damage Harper’s environmental policies are having and will continue to have on the continent least responsible for, but most at risk from, climate change. 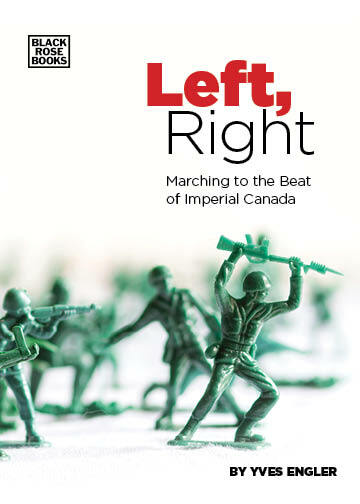 But, the book also argues, Canada’s hostile posture towards Africa didn’t begin with Harper. Top 10 Things You Didn’t Know About Canada’s Role in Africa. Canada delivered (free of charge) billions of dollars in weaponry to the colonial powers during the last decade of colonial rule. Canada trained the army command that overthrew Ghanaian independence leader Kwame Nkrumah and Canada’s high commissioner privately celebrated the coup. A Canadian led the expedition to conquer the Katanga region of the Congo on behalf of Belgian King Leopold II. In exchange for land near present-day Harare a Canadian missionary organized health services for Cecil Rhodes’ army that conquered Zimbabwe. Canadian military officials were complicit in the killing of Congolese independence leader Patrice Lumumba. An Ottawa-based consulting firm has overseen the privatization of tens of billions of dollars in public African infrastructure. Much of Atlantic Canada’s early wealth was generated from feeding Caribbean slave plantations. Canadians rose to become governors of colonial-era Ghana, Kenya and Northern Nigeria. Canadian officials were initially sympathetic towards Idi Amin’s coup in Uganda. Canadian mining companies dominate resource extraction in Africa.